I like this photo. Nice mix of colors with the dark greens, grey granite and blue sky. The Lookout could stand to be a little larger but this was probably fully zoomed. I like the diagonal lines from the tree clusters. 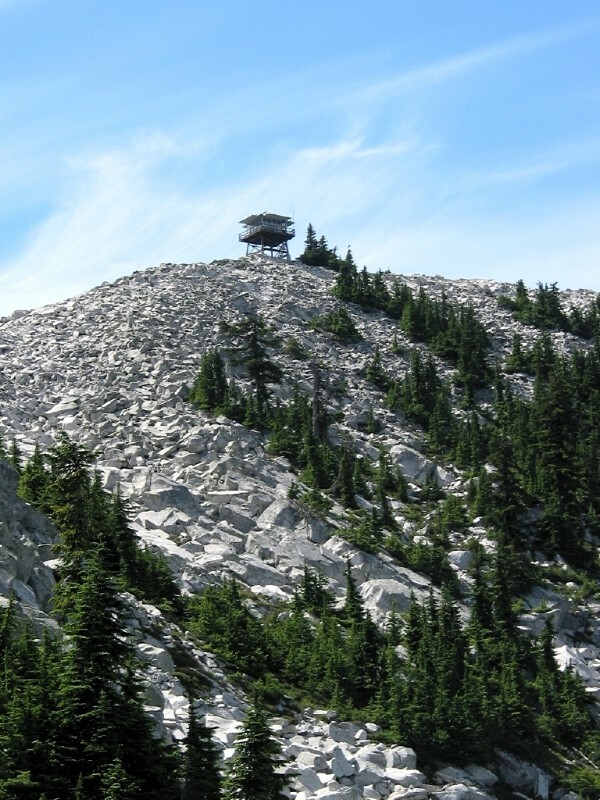 This also gives a view of how the lookout is perched and why this is indeed called Granite Mountain. http://www.pbase.com/longbachnguyen/image/72257921 This is my view of the Granite Mt fire lookout.